Channeling his passion to tap into the vast potential of humanity, Vinoj Suthakaran found his voice through spoken word poetry. Vinoj always felt like he did not belong in this time while growing up in Scarborough, Toronto, until a series of what some may call, unfortunate, events showed him that being his true self is the greatest freedom he can give himself. 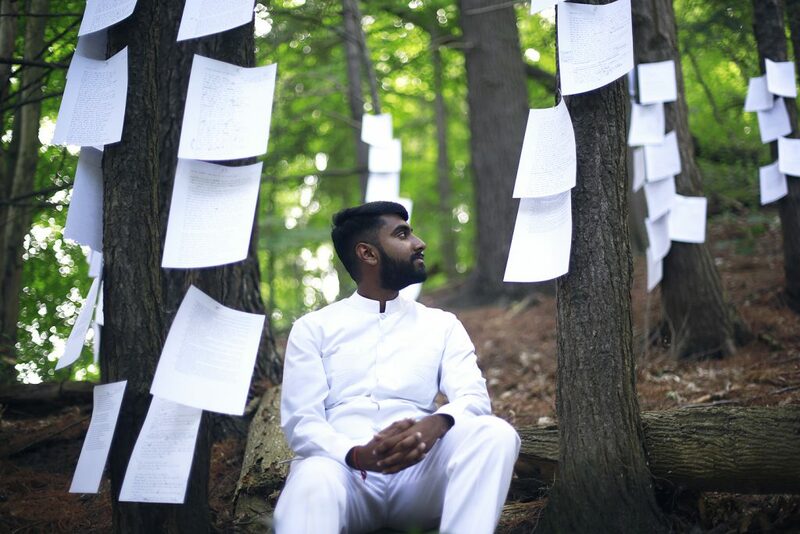 With a mechanical engineering degree from the University of Toronto and working as an engineer in the aerospace industry, poetry has become a way to explore his subconscious nature and channel his spirituality from the most silenced part of his mind, hence the creation of his stage name, Voice of Silence. Vinoj has performed at countless events, including UNITY Charity’s yearly spoken word showcases for five years and the third annual R.I.S.E. Edutainment ‘416RISE’ showcase. He is seven-times published in various Canadian poetry collections, including Island Magic and The Tracery of Trees, and he has released his debut poetry/musical album, Befriending Silence, in April 2017, showcasing the versatility and breadth of poetry he can offer. His style is constantly evolving, just like himself, and he enjoys twisting the way everyday life is perceived with simple yet profound imagery. His newfound approach to fuse musical elements with his poetry creates an experience that cannot be found elsewhere. His passion to tap into his full potential and to connect souls one poem at a time keeps the ink flowing and his pen moving.